The silo is located near Lake Huron in Huron, OH. TCP Painters from Livermore, CA and Gahanna, OH completed this project for PPG and Glidden. 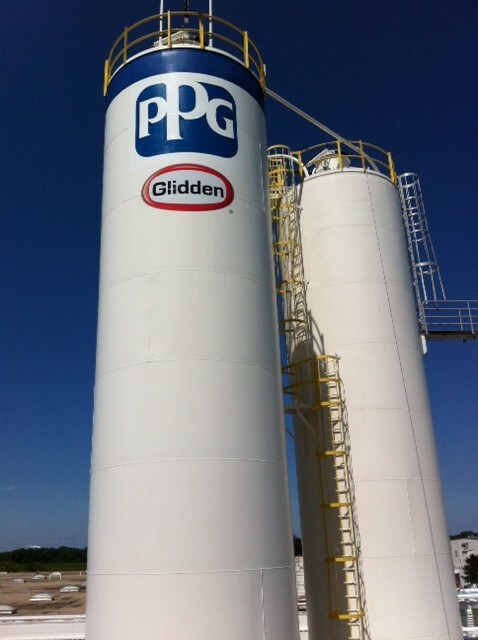 The scope of work included painting over the old logo on the side of the silo, applying a four-piece stencil, then applying multiple coats of paint to create the “PPG’’ logo. The work was done from a boom lift approximately 80 feet in the air.